For thousands of justice-involved people in Wisconsin, the musty halls of the Milwaukee Secure Detention Facility (MSDF) are a grueling pitstop on the road to reincarceration. According to a report from the Columbia University Justice Lab, more than 65 percent of the individuals stranded in technical limbo between probation and prison in 2017 were African American, and 62 percent were diagnosed with a mental health condition. They are confined to overcrowded cells without sunlight, fresh air, exercise or visitations for 20 hours a day, and those who fail to satisfy the many conditions of probation or parole are placed on “hold” without judicial review, as they await hearings for their reincarceration without bail. At the end of 2017, 86 percent of individuals warehoused at MSDF had not committed a new crime. The report calls the MSDF a prime example of how Wisconsin’s byzantine probation and parole policies are driving mass incarceration in the state, and cites recommendations from the nation’s leading probation and parole administrators for bucking the state’s current trends. “[C]ommunity-based mechanisms [such as probation and parole], which originated as alternatives to incarceration, are actually contributing to its rise in Wisconsin and elsewhere in the United States at the very time when the foundations of mass incarceration have been rejected by many on both sides of the aisle,” the report said. To understand the depth and complexity of Wisconsin’s community supervision woes, the report said, one must begin with Wisconsin’s Truth in Sentencing statutes. Enacted in 2000, Truth in Sentencing is a cluster of laws and policies ensuring that those convicted of crimes serve 100 percent of their sentence with little hope for early release for good behavior. Among the most punitive statutes in the nation, Wisconsin’s Truth in Sentencing mandates extended supervision after time served, which places returning citizens on probation for at least 25 percent of the duration of their completed sentence. Violation of any of the conditions of supervision can send individuals back to prison without credit for time served. There are at least 18 conditions with which those under community supervision must comply. Individuals under community supervision are also subject to a litany of fees, including annual supervision fees amounting to $240-$720 depending on income, drug test fees, and payments for their own electronic monitoring devices. Failure to pay can result in violation of the conditions of supervision and result in reincarceration or an extension of supervision. The Justice Lab offered empirical evidence from state-level data to argue that Wisconsin’s community supervision policies have spurred a net-widening relative to other states’ incarceration trends at a time when most states are seeing a net decrease in incarceration. The first indicator is outcomes for people exiting supervision. In Wisconsin in 2013 (the most recent year with available data), 39 percent of these individuals were returning to prison, compared to the national average of 28 percent. Of those reincarcerated in Wisconsin that year, a technical, non-criminal violation had led to 75 percent of all revocations. The second indicator is a static count, or snapshot, of the proportion of incarcerated people in Wisconsin who had formerly been under community supervision: roughly 12,000 of the 23,000 individuals at the end of 2017. This figure is technically an under-count, as it does not take into consideration individuals with shorter sentences for technical violations not present during the snapshot. Thus, when calculating based on total annual admissions to prison, the share of individuals formerly under community supervision rose to 60 percent in 2017. The third indicator is the number of individuals incarcerated without judicial approval on “hold” from violating the conditions of probation or parole, who are not counted in the prior figures. An additional 3,700 individuals were admitted to Wisconsin Department of Corrections facilities in 2017 under these conditions. 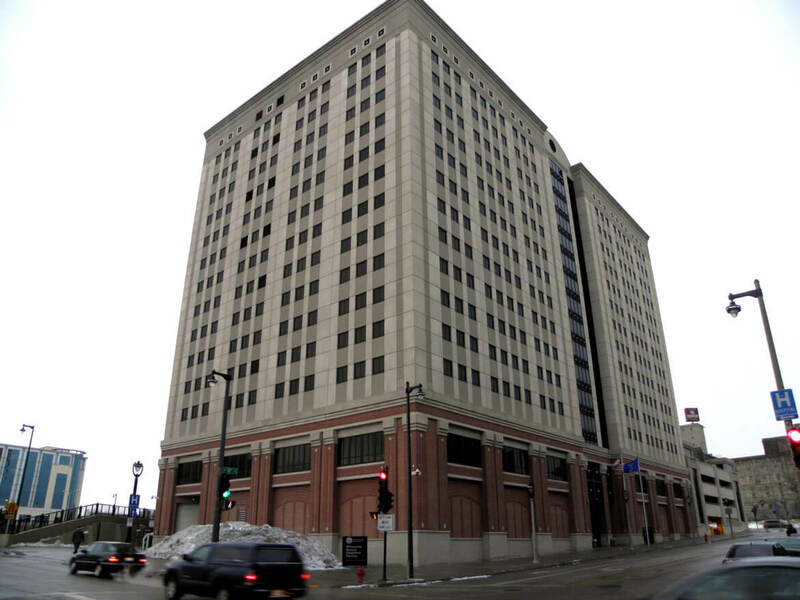 The Milwaukee Secure Detention Facility is one state facility created precisely to house these people and to ease the burden of overcrowding on county-level jails. Wisconsin’s community supervision numbers and the impact they are having on incarceration are best understood in the context of the overall growth of Wisconsin’s prison system. Wisconsin’s prison population has more than tripled since 1990, when there were 6,788 people incarcerated. By 2000, there were 20,612, and by 2016 there were 22,975 people incarcerated in Wisconsin, a state with only 17,742 total prison beds. Wisconsin is bucking the national trend in this respect. Since 2009, the absolute number of people incarcerated in the United States has declined by 5.9%, or 135,300 people, while the rate of U.S. incarceration has declined by 12.2%. Even conservative states like Texas and Mississippi have seen their imprisonment numbers decline by 13% and 11%, respectively. Importantly, the Justice Lab argued that the population explosion in Wisconsin prisons is likely not attributable to an increase in crime, noting that property crimes have steadily decreased since 2013 and are 27 percent below national averages. Violent crimes, still 21 percent below national averages, have slightly increased over recent years. Finally, Wisconsin exhibits a strikingly skewed racial impact in its community supervision and incarceration outcomes. African Americans, comprising just 7 percent of the state’s population, make up 41 percent of state prisoners and 65 percent of all those held at the MSDF. They also represent 76 percent of all supervision revocations issued to those at MSDF. These racial disparities highlight that while community supervision is a major pipeline for reincarceration, it most acutely and disproportionately affects people of color in the state. The Justice Lab argues that these disparities begin in part with uneven enforcement of the law in contact with police officers, such as in traffic stops and the issuance of municipal warrants. The Justice Lab’s report ends with multiple recommendations for accomplishing a similar feat in Wisconsin. Close the Milwaukee Secure Detention Facility, as it offers a perverse incentive to continue reincarcerating individuals due to technical violations of their conditions of supervision. Support the development of localized Alternative to Revocation programs which provide incentives for individuals to comply with the terms of their supervision while helping them to reintegrate successfully into their communities. Revise the Truth in Sentencing statutes to allow for shorter probation and parole sentences and to permit individuals to accrue “merit time” or earned compliance credits that would allow them to end their sentences early for good behavior. The Justice Lab report was prepared by Jarred Williams, Director of Research at the Katal Center for Health, Equity and Justice; Vincent Schiraldi, Co-Director of the Columbia Justice Lab; and Kendra Bradner, Senior Staff Associate with the Columbia Justice Lab. A full copy of their report can be downloaded here. Roman Gressier is a TCR news intern. He welcomes readers’ comments. Gov. Larry Hogan, a Republican, says he will propose tough-on-crime legislation–including longer sentences for repeat offenders–to address the acute problem of violence in Baltimore.